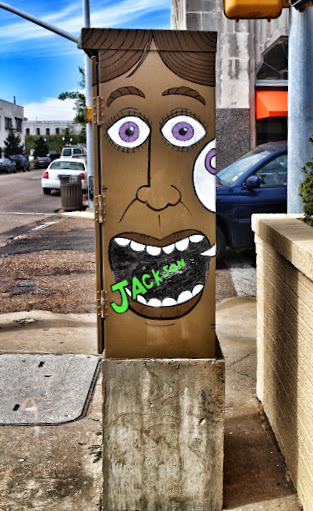 We woke up in Jackson, Mississippi this morning which had been voted third friendliest city in the US. 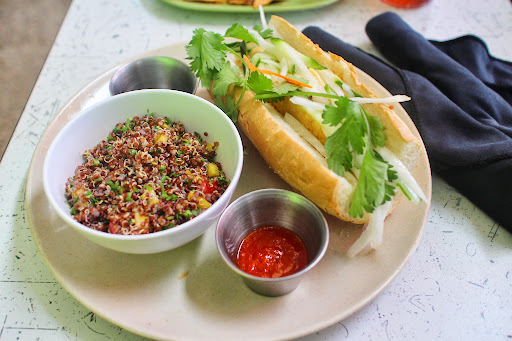 We went for lunch at Adobo where I had a lemongrass tempeh baguette which was so tasty and served with a really nice salad. 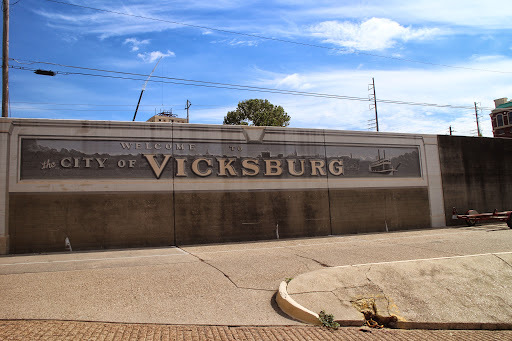 We then drove to Vicksburg, a historic town on the Mississippi river, just across the border from Louisiana. 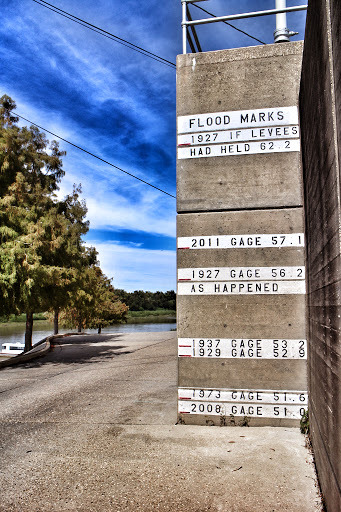 The markings on the levee showed how high the river had reaches in 2011 while the Mississippi was flooding. 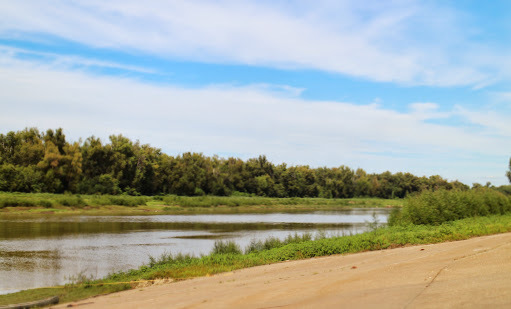 This was the same time we were worrying about the river flooding upstream in Omaha. 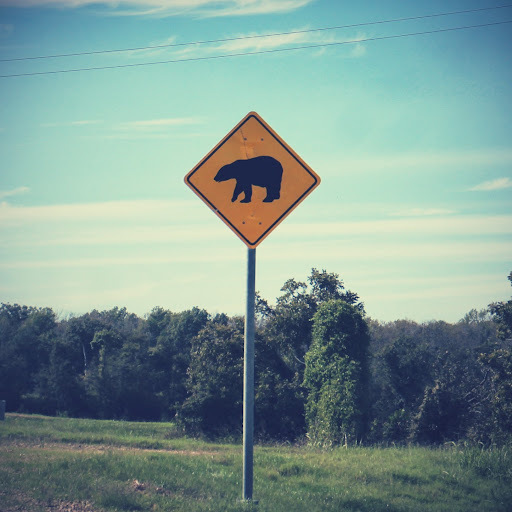 I was surprised to see bear crossing signs this deep in the south, as the image of bears and alligators together just doesn't seem right. 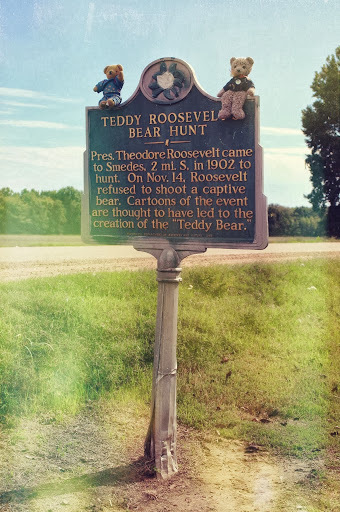 Our next stop was Rolling Fork which is home of the teddy bear. They were invented after Teddy Roosevelt refused to shoot a bear while on a hunt a few miles away from the town. 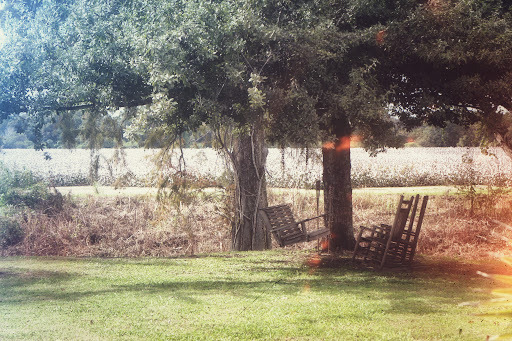 I spotted this gorgeous tree swing in front of a field of cotton and it looked so peaceful that I'm obsessed with the idea of getting a pretty porch swing one day. 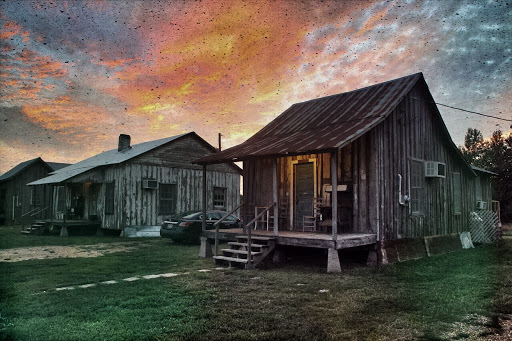 That evening we were staying in an old shack at the Tallahatchie Flats. The shacks used to belong to cotton-pickers and had been donated from plantations in the area. 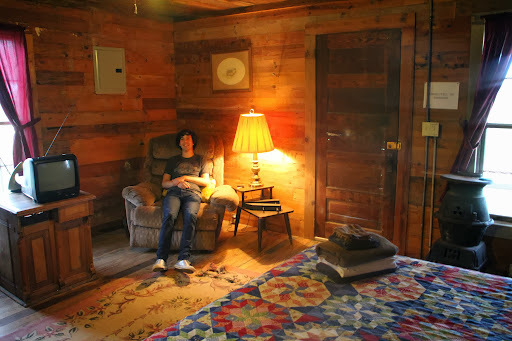 Despite the rustic appearance, they were really cosy on the inside and a cool place to spend the night. 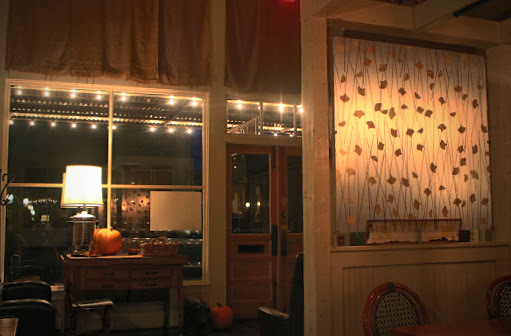 After getting settled in, we headed in to the nearby town of Greenwood for dinner. 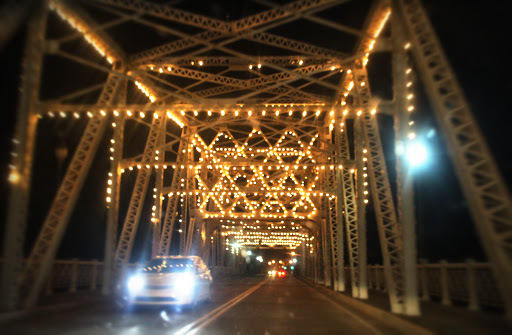 The town was covered in fairy lights and looked so pretty. 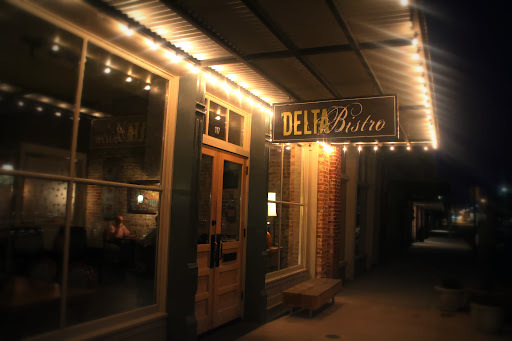 We went to Delta Bistro which was a beautiful restaurant with mason jar chandeliers and pretty leaf partiitions. Tom tucked in to catfish while I had the crayfish salad. 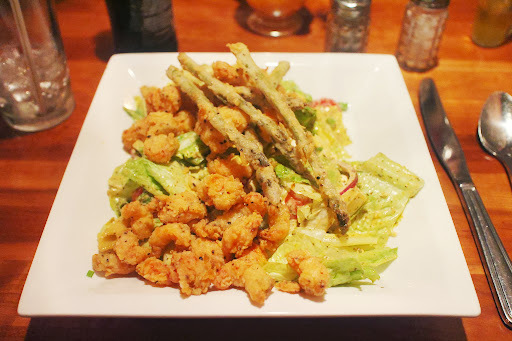 The food was good but everything was fried, even the asparagus in my salad. Someone had told us earlier that "down here, if it ain't fried, it ain't food".